Overnight the Uncharted movie has gone from 'never going to happen development hell' to an actual thing people are doing right now. Night at the Museum/Stranger Things' Shawn Levy is up to direct, and Smokin' Aces/The A-Team's Joe Carnahan is on script duties. Here's everything they've said on the project so far. Who's going to play Nate? Director Levy told iO9 “I do have some people in mind and I’ve started some very secret, low-grade conversations and explorations of actors." But he also immediately followed that up with, "and I literally need to stop talking now.” Carnahan has added, speaking to Collider, that "Shawn and I have talked about a couple of guys, but it’s pointless to mention them now because we don’t know where everybody’s gonna be". Carnahan did also say the thing that every fan is thinking: "In a perfect world it’d be Nolan North!" Sadly, however he's under no illusions as to how Hollywood works. "That’d be the perfect casting, but I don’t know. I think that’s gonna be, again man, sheer economics. Who’s worth what, when, where, how. What gets us this, what gets us that. What’s the foreign side of things, international things." As for the previous casting talk of Mark Wahlberg that (fortunately) doesn't sound likely, and opens up some discussion about age according to Carnahan. "Wahlberg’s great, but it just depends how young we wanna make Nate and then Sully. Is Sully in his 50s and Nate in his late 30s? Is Nate in his late 20s and Sully’s in his early 40s? It really is gonna depend on that process because if X gets excited and says 'Oh, I want to play that,' then it means Sully’s gonna have to be this age, and that changes things. And if you’re talking about making three, four films, what’s ideal for that". According to director Levy “We have a really cool and unique plot. But we have a tone that Joe [Carnahan] and I are channeling right into the script that is that Nathan-blend of real guy, heroism, snarky, funny wit. I think we figured out the tone in an exciting way.” Carnahan on the other hand has a clear idea of how he's going to characterise the film: "I can tell you this: what I’ve written is very anti-Indy in the sense of the guy that loves museums and wants to preserve these artifacts. He’s not! He’s a thief and he’s a grifter, and he’s a scourge. He and Sully are not good guys but they’re better than the bad guys." Sound like the whole Francis Drake angle will at least get a mention too. "His lineage. I thought that was important," says Carnahan. "What excuses would you make about your character if you held to this notion that you were the heir to this great explorer? Your ancestor’s this great dubious, nefarious explorer? If you believed somehow that was your birthright. Were you conning yourself? There’s some interesting character stuff you can do there." How close to the game will the movie be? It looks like Carnahan has been meeting all the right people while writing the film. "I sat down with Amy [Hening] and sat down with Nolan North and sat down with Neil [Druckmann], who created this thing, and took them through what I was doing and what I was thinking of and they loved it. She loved it. She understands too that you can’t be so slavish and devoted to the source material." It also sounds like Carnahan is planning to stick to the original story, explaining, "You’re dealing with a guy who’s an orphan, and I came at it that way—what’s some of the things that are important to someone who’s an orphan? In the fourth game they dispelled all that, but I thought it’s still kind of an interesting." Are we going to see any familiar faces? It sounds like a yes according to Carnahan. "I kept some characters I like and kind of reset them within that world so there’ll be names and familiar faces and so on, but they won’t necessarily be what they were in the game, which I think is important, you have to do that, create amalgams." 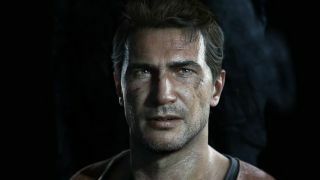 Are we going to have Uncharted style game action in the movie? “Those action scenes blow my mind in the game and if I don’t give that experience to audiences with the movie I didn’t do my job,” explains Levy, adding. “And I intend to do my job.” Carnahan also briefly mentions "the insane big action stuff" when discussing what to bring over from the game. Will we get some in-game references? 'We gotta sometimes cut loose of those, because it shackles you", says Carnahan. "You’re gonna have Nate do this and you’re gonna say Kitty got wet and gonna do this, and you say, 'Listen, we’re gonna do as much of it as we can. '” He also list a few other things we can expect to see: "Certainly the signet ring. The harvest magnet, the whole Francis Drake legend."